Bob Hillman is talking about a cellphone tower. Actually, it’s a scaled-down version of a traditional tower, one designed to operate on solar power in remote areas without electricity. It’s also designed to cost just $100,000 to build while full-scale towers can run operators more than $1-million apiece. Mr. Hillman, a former American telecom executive and now chief executive officer of Vancouver-based upstart RuralCom Corp., says that by the end of June, he plans to have a total of 40 such cellular sites in place along parts of the Alaska Highway and the British Columbia north coast. He says he has signed 80 agreements with international carriers eager to offer their customers coverage along the coast, which hosts about a million cruise passengers a year, as well as the trucking route along the highway. While the company is beginning to offer local service, most of its revenue will come from that roaming service. An in-depth explainer on how spectrum works in Canada, from cellular use and rural Internet to over-the-air TV and WiFi. To make it work, Mr. Hillman needed access to the radiowaves used to carry signals from the cell sites to and from customers. For that, he turned to a barely-used regulatory policy that lets outsiders claim a licence for spectrum covering areas where the incumbent wireless providers are not deploying cellular service. The airwaves at stake are found on the electromagnetic spectrum, which is a range of frequencies that carries radio signals, on the low end, all the way up to X-rays and gamma rays on the high end. Cellular spectrum is a publicly managed resource that is invisible to the eye but scarce and powerful enough to inspire such corporate drama, as well as a billion-dollar lawsuit, public clashes with the government and declarations of beauty when gazing at a pole. Closely tied to the government’s widely touted policy aimed at increasing competition in Canada’s $20-billion wireless industry, the battle over spectrum also carries high political stakes, especially in an election year. Now, almost seven years after Ottawa’s first auction that reserved airwaves for new companies, established regional telecom players in Manitoba, Saskatchewan and Quebec have significant market share and are putting pricing pressure on the dominant carriers Rogers, Telus Corp. and BCE Inc. while Eastlink has also launched a relatively new wireless business in the Atlantic provinces. After half a decade of strife, Wind Mobile Corp. has emerged in recent months as the best hope for a competitor in three of the country’s most populous provinces, Ontario, B.C. and Alberta. Yet, several hurdles still remain as the company works to prove it can offer a true sustainable alternative – shaking up prices and offering widespread, next-generation service – and, as they have in the past, Ottawa’s next moves on spectrum policy could play a pivotal role in Wind’s success. The Canadian government crafts its spectrum management policies in concert with a global body – the International Telecommunication Union – making certain frequency bands available to wireless operators at roughly the same time as other countries around the world. To avoid interference problems, the government issues licences for the exclusive use of certain types of spectrum, similar to radio stations applying to broadcast on specific frequencies on the AM or FM dials. When cellphone technology was in its infancy, governments issued licences to wireless entrepreneurs and telephone companies for free (although they pay annual licence fees) but auctions for the right to use certain blocks of spectrum now bring in significant revenue. Since taking power in 2006, the Conservative government has made stoking competition in the industry a priority, reserving airwaves for small players to purchase at a low price and using increasingly strict rules to force the Big Three to share access to their cellphone towers and allow new entrants to roam on their networks. Ottawa is conducting its third auction of mobile airwaves in the span of little more than a year for airwaves in the 2,500-megahertz frequency band. It has said that by the time the dust settles, the amount of spectrum available for wireless services will have increased by 60 per cent since the beginning of 2014. And while the Big Three together held 98 per cent of available mobile spectrum in 2006, thanks to the recent deluge of airwaves, the government expects new players to control 25 per cent by this summer. Managing spectrum has also taken on heightened significance in recent years as consumer demand for Internet data grows exponentially. Mobile data traffic in Canada in 2019 is expected to be seven times higher than it was in 2014. Four years from now, Canadians will use 207 million gigabytes of mobile data a month – the equivalent of streaming 52 million DVDs – according to projections from Cisco Systems Inc.
For wireless carriers, that demand is a path to continued growth in a maturing market and executives point to higher data usage as a means of increasing revenues. Crucially, as companies vie to lure each other’s customers, it also requires continual investment in their networks and spectrum holdings to keep up with expectations for ever-more capacity and faster speeds. In 2013, the wireless industry spent $2.3-billion on capital expenditures to improve their networks, according to the Canadian Radio-television and Telecommunications Commission’s most recent report. The following year, Canada’s carriers spent a record total of $5.27-billion on licences for 700-MHz spectrum, with Rogers alone spending $3.3-billion in a closely-watched auction. Operators often use highway analogies to explain the demand for “contiguous” spectrum, which means the airwaves are located right next to each other, the idea being that a four-lane highway can keep a high volume of traffic moving much quicker than a single-lane road. Although large swaths of contiguous spectrum are ideal, it is not always possible to obtain such prime airwaves. Mobile providers are constantly working to gain a competitive edge by making better use of whatever spectrum they do have by experimenting with new techniques. Carriers implement compression technologies to carry more data on each megahertz of spectrum, and they can also deploy an increased number of “small cell sites” to help supplement network capacity and extend coverage. Carrier aggregation – which combines different bands of spectrum to provide faster download speeds – is a relatively new technique providers are using to keep up with data-hungry customers. After its spectrum spending spree last year, Rogers in particular has actively marketed its use of carrier aggregation to combine its previous spectrum holdings with its new 700-MHz airwaves. As cellular technology evolves, carriers must also upgrade their networks to the latest generation. The Big Three now offer extensive LTE – long-term evolution or fourth generation – coverage along with their 3G service. 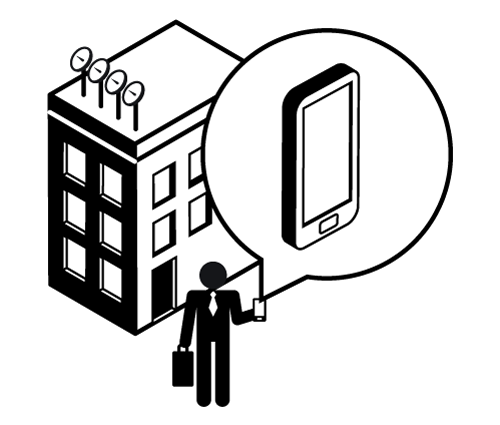 Upgrading requires sufficient airwaves as operators must migrate customers from their older networks on to current and next-generation coverage. Customers with older handsets only compatible with legacy networks still expect service and carriers often operate three generations of network – each of which requires spectrum resources – as they perform this delicate dance. The policy RuralCom used to claim licences from Rogers in B.C. only applies to airwaves in the 850-MHz frequency, which is low-band spectrum that can travel long distances and easily penetrate buildings. It’s the kind of spectrum industry types lovingly call “beachfront real estate” and it was the first set of frequencies the government gave to Canada’s cellular pioneers. Beginning in the 1980s, the government allocated spectrum to existing telephone companies and one national player, Cantel, which won the airwaves on the basis of its proposal to use them, a process known as a beauty contest. Rogers founder Ted Rogers was one of the original investors in Cantel, and later bought it outright, adding a national cellular business to his company’s cable and media operations. During the following decade, the government also awarded spectrum to two new competitors, Clearnet and Microcell, but in 2000, Telus Corp. acquired the former and Rogers later bought the latter, which operated the Fido brand. By 2005, the industry had consolidated to three main players: Rogers and the telcos Telus and BCE (which owns 15 per cent of The Globe and Mail). If you owned a cellphone in Canada, there was a good chance you were a customer of one of the three. In line with international trends, around the turn of the millennium, Canada began auctioning spectrum licences to the highest bidder. It sold PCS mobile spectrum and then conducted two sales of high-band spectrum designated for “fixed wireless” access. These airwaves are useful for carrying large amounts of data but do not travel well over long distances, particularly if the target is moving as is the case with a mobile device. In rural and remote areas where wired service is not available, this spectrum is used to deliver Internet access by communicating with antennas fixed on the outside of homes or businesses. Through the joint venture Inukshuk Wireless, Rogers and BCE acquired much of that spectrum and provide national fixed wireless service with each company marketing it under their own brand. Yet, spectrum for mobile use is really what attracts the industry’s attention. After taking power in 2006, the Conservative government spent close to two years crafting the structure of the next auction of mobile, which it hoped would spur competition and help address concerns about Canada’s comparatively high wireless prices and the fact that Canadians weren’t buying cellphones like people in the U.S. and Europe, where penetration rates were higher. The 2008 auction of mid-band AWS-1 (advanced wireless services) airwaves limited bidding on almost half of the available airwaves to players with less than 10 per cent of the national wireless market. Several players launched new wireless businesses after buying set-aside and other airwaves in the auction and there were signs more choice was on the horizon as the Big Three countered by launching new discount brands or putting new emphasis on their existing “flanker” brands, such as Chatr, Koodo, Fido and Virgin. But by 2013, a trio of Toronto wireless startups – Wind, Mobilicity and Public Mobile – were floundering after a series of both setbacks and miscalculations. The government’s policy came under fire for failing to support the new entrants with strong rules forcing the incumbents to share their towers and permit customers of the smaller companies to roam on their larger national networks at reasonable prices. Wind’s foreign investor VimpelCom Ltd. was looking to sell and Mobilicity, on the brink of a bankruptcy filing, reached a deal to sell itself to Telus for $380-million. Later that year, the federal government permitted Telus to buy Public Mobile, which owned spectrum that had not been reserved for new entrants. But in a show of renewed commitment to its wireless policy, Ottawa blocked the Mobilicity sale and introduced a new spectrum transfer framework stating it would not approve deals that led to an “undue concentration” of spectrum in the hands of one player. The shift in rules came as a surprise to many industry players who believed the set-aside airwaves would be eligible for sale to Rogers, BCE or Telus after a five-year ban on transfers to incumbents. Telus challenged the new policy at the Federal Court (it lost the case in December) and Mobilicity’s original investors have filed a $1.2-billion lawsuit against the government that is still before the courts. “Having caused the plaintiffs to lose substantially all of their investment, Industry Canada broke its final promise by refusing to allow the sale of the business after five years,” read the Mobilicity claim filed in September. The next auction of valuable low-band 700-MHz spectrum also included a set aside for new entrants but neither Wind nor Mobilicity secured the financing to bid and the policy to promote competition appeared badly bruised. However, Videotron Ltd. did participate and spent just $233-million to win spectrum in Quebec as well as Ontario, British Columbia and Alberta, fuelling speculation that it planned to expand its wireless business nationally. Today, Mobilicity has been languishing in creditor protection for a year and a half. Wind, however, finally saw a change in fortunes as additional policy developments last year helped the company convince a consortium of U.S. and Canadian investors to buy out VimpelCom. As a further boost to small players, Industry Canada announced it would hold another auction this year for AWS-3 spectrum with a set-aside of 60 per cent of the airwaves. Ottawa also put temporary caps on wholesale roaming rates – the amount carriers can charge competitors to roam on each other’s networks. The caps dramatically reduced Wind’s roaming costs and it was able to secure set-aside spectrum in Ontario, B.C. and Alberta for just $56.4-million. Videotron and Eastlink also won cheap set-aside licences but the auction still raised a total of $2.1-billion as Telus spent $1.5-billion and BCE paid $500-million. “The result of the AWS-3 auction supports our government’s policies of delivering more choice, lower prices and better service on the latest technologies,” declared Industry Minister James Moore. Wind also declared victory, announcing that it was finally on sound footing and ready to grow. “We don’t have legal and regulatory issues, we don’t have a shareholder that may or may not want to stay… and now we have the spectrum too, which obviously is a big pillar,” Wind founder and former CEO Tony Lacavera said in March. Yet some industry watchers remain deeply skeptical about the government’s push to support a fourth player. Indeed, despite being better capitalized and more spectrum-rich than ever, Wind still faces hurdles. For one, all spectrum is not created equal. On top of the different propagation properties, mobile devices need corresponding chip sets to work on particular frequencies. Bands that are only newly being deployed will not have an established ecosystem of devices that work. Adding to the need to avoid interference issues at the border, this is a major reason Canada’s spectrum policy tends to closely follow the U.S. example. Wind’s fortunes have closely followed T-Mobile U.S. Inc., which owns the majority of U.S. AWS-1 spectrum – the same spectrum Canada’s new entrants hold – and deploys it for its 3G network. When popular devices get made that are compatible with the T-Mobile network, Wind also benefits. But T-Mobile will soon upgrade its network to LTE and once that is complete, the ecosystem of devices that work on Wind’s 3G network will dwindle. Plus, there are currently no handsets available that work on the AWS-3 frequency that Wind just bought. But the U.S. industry just spent $44-billion (U.S.) on its own auction of the airwaves (which did not include a set-aside for small players) and optimistic estimates suggest a handset ecosystem will develop by the end of the year as U.S. carriers begin to deploy it. Most industry observers, however, expect that will not happen until at least 2016 and perhaps not until the following year. Wind’s AWS-1 spectrum holdings are too small to upgrade to LTE, which means it could still use the licences owned by Mobilicity if it could get its hands on them. Shaw Communications Inc. and Videotron also own set-aside AWS-1 spectrum in Wind’s operating territories and although Rogers has option agreements to buy them, the government is unlikely to approve those transfers. “If there’s an opportunity to acquire more spectrum, we’re always interested. ... It would be prudent if we could get more AWS-1, which would give us a quicker or more secure or finite path to LTE,” Alek Krstajic, the new CEO of Wind, said in an interview when he took over the job in late March. Over the past two months, most potential merger and partnership discussions have been halted due to rules forbidding such communications while the auctions have been ongoing. The 2,500 MHz auction is expected to conclude shortly and once the results are announced, new talks could begin. The CRTC is also due to rule on wholesale roaming rates on Tuesday, with most expecting it will mandate rates lower than interim caps the federal government introduced last summer. Videotron has said those rates will be key to its decision on whether to expand outside of Quebec. But owner Quebecor Inc. has also been clear it does not plan to spend aggressively on wireless as it plans to acquire the remaining 25-per-cent stake in its subsidiary Quebecor Media that is owned by the Caisse de dépôt et placement du Québec by 2019. However, it is likely to be interested in discussing possible arrangements with Wind as well as Mobilicity. For its part, Mobilicity said in a court filing Wednesday that “various parties have indicated a credible interest in pursuing an acquisition transaction.” It said it is in talks with several parties and on Friday the court granted a further stay of legal action to Aug. 31 while it pursues those opportunities. The company’s restructuring team has floated a theory that once the auctions are all complete, there will be so much spectrum on the marketplace, that the importance of its AWS-1 licences will become less meaningful in terms of any one party having an “undue concentration of spectrum” and a sale to Telus or another incumbent would be possible. Another piece of the puzzle could be played by TerreStar Solutions, which owns a national licence for a large block of AWS-4 spectrum, airwaves originally designated for satellite phone service. In a wave of spectrum announcements in December, the government said the licences could also be used for land-based mobile services (as long as the holder also offers a satellite option). There is no device ecosystem for the band yet and its future will depend in part on what TerreStar Networks Inc. – its U.S. partner and subsidiary of satellite broadcaster Dish Network Corp. – decides to do with the same airwaves south of the border. But TerreStar’s owners – André Tremblay and some of the original team behind Microcell – have indicated an interest in partnering with other Canadian players. “We are looking at opportunities right now to partner with the new entrants if possible,” chief financial officer Jacques Leduc said in a February interview. 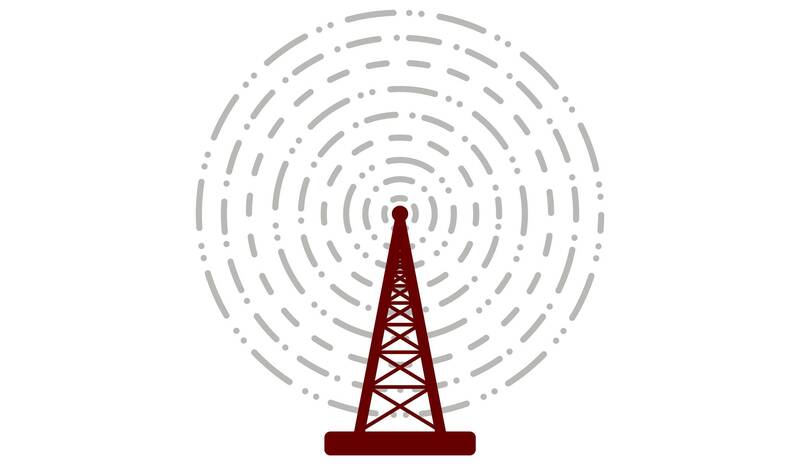 A government consultation on transitioning the 600-MHz range band from broadcast to mobile use could be a further boon to Wind if Ottawa reserves another portion for small players in a future auction. However, the details around that band’s availability remain unclear as the U.S. is still deciding how to make the transition and the process faces opposition from advocates of over-the-air television broadcast. The federal government saw the risks of implementing overly broad transitions to mobile use last year when it proposed redesignating 3,500-MHz spectrum to mobile in urban areas and faced a backlash from companies and communities concerned about losing rural Internet service. Ottawa later clarified that it would not take spectrum being used for rural service away from licence holders. Wind’s path to LTE and future sources of spectrum is not yet settled and it says it needs to spend about $300-million over the next four to five years to make the needed upgrades to its network, but there are signs the right pieces are falling into place. Wind has two board members with close ties to T-Mobile – Lawrence Guffey is on the U.S. carrier’s board of directors and David Carey is an executive – and has shown signs it is taking a page out of the U.S. carrier’s disruptive playbook. T-Mobile is vying to take Sprint Corp.’s place as the third-largest U.S. carrier and its quarterly results last week show it is stealing market share from market leaders Verizon and AT&T Inc., through its “Uncarrier” strategy of offering attractive perks and low-priced plans to win customers. Greg MacDonald, head of research at Macquarie Capital Markets, notes that Wind is “attempting to position itself as Canada’s ‘Uncarrier’” with recent plans that cost 50 per cent less than the Big Three’s main brands and are 40 to 50 per cent cheaper than the flanker brands.